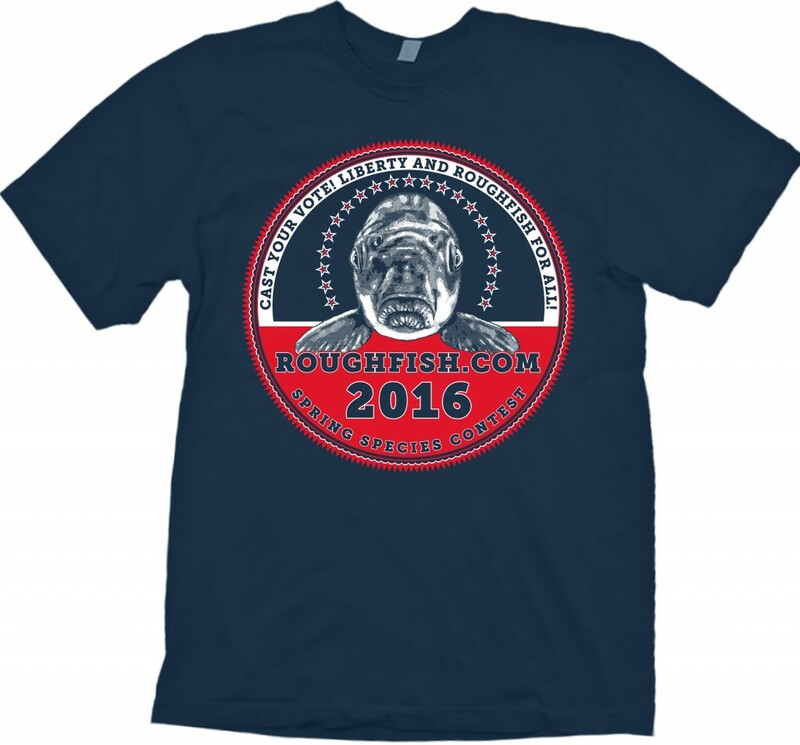 June is my favorite month, and has been ever since I discovered roughfish.com and the annual Spring Species Contest. This will be my 9th species contest. I won’t win (probably) but I’ll catch a lot of fish. If all goes well, I’ll beat all my previous totals by catching more than 30 species between 12:01AM June 1st and 11:59:59PM June 30th. The buffalo is based on a photo I took years ago of a fish I seined with Uland Thomas in a tributary of the Illinois River. I’ve never caught one on hook and line, but my secret reason for putting it on the button this year is that it will provide the mojo I need to catch one. Two weeks until June. I’m starting to shake and I’m drooling just a little more than usual. Tagged art, buffalo, contest, fishing, respect, roughfish.